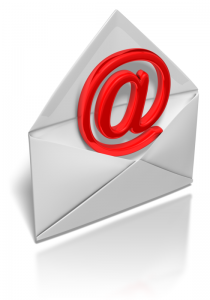 If you’re a job seeker, make sure your personal email account has a professional address. The cute or funny one you created in high school probably won’t help you find a job, so create an account using your actual name. Job seeker or employed, always use a subject line! Not only do emails without a subject tend to get ignored, but subject lines will help the recipients determine urgency and stay organized. If you don’t know the person you’re emailing or you’re unsure whether or not the person remembers you, make sure you briefly introduce yourself. You don’t need to write a novel, just a quick reminder to help your recipient. Make your emails easier on the eye by breaking them up with spacing. Nobody wants to read a wall of text, so use spacing to your advantage. Always, always proofread your email before sending it. Nothing hurts your credibility quite as quickly as grammar errors. Check out our recent blog post for common grammar mistakes to help you when reviewing your email draft. Using jargon, obscure analogies and abbreviations is a bad habit you should break. If your recipient does not understand what you’re trying to say, it’s a wasted email. Use exclamation points sparingly. It looks unprofessional if you end each sentence 10 exclamation points. Nobody likes to spend all day reading emails, so make life a little easier for your recipients by keeping your message short, sweet and to the point. Finally, this may seem like common sense, but never send an angry email. If you’ve typed one out, save it in your draft folder, sleep on it and then revisit it the next day. With a clear head, you should be able to get your message across without putting off your recipient. Have an additional email writing tip? We would love to hear it; leave a comment! This entry was posted in Clients, Currently Employed, Job Seekers and tagged email writing advice, email writing tips, professional emails, tips for writing emails, writing a professional email. Bookmark the permalink.